Aro Hā is a next-level wellness experience, offering life shifting, body morphing, spirit-lifting retreats. Multi-award winning, Aro Hā fuses advanced eco accommodation, permaculture-based self-sufficiency, and world-class results-oriented programming. Ideal for solo travellers, couples, or friends, the physically stimulating programmes sculpt the body and mind with subalpine hiking, vinyasa yoga, and dynamic movement. Head to New Zealand during the coolest months of the year for a curated retreat experience where all aspects of natural health are addressed. Expect your body to become lean, strong, and flexible, as your mind becomes calm, clear, and present. You are simply required to show up, be present, and allow the experience to unveil your inherent potential. The Winter Wellness retreat only runs between June and September each year. Aro Hā offers three levels of zen-inspired accommodation: the Eco Suite Private Room (2 private rooms with king-size beds and a shared bathroom, suited for individuals wishing to have their own room); the Eco Suite Shared Room (2 private rooms with king-size beds and a shared bathroom, suited for 2 people wishing to share a room); and the Monastic Eco Singles (private king single beds suited for 1 person only, with shared bathrooms). The shared bathrooms feature separate shower, bath and toilet spaces. Bathrobes and oversized towels are in all bathrooms, as are organic body and shower products. Each room has a small desk and is well-lit with views of the lakes and mountains. Aro Hā was born of the intention to create a facility that exemplifies a more resilient localised living solution. From permaculture to passive haus techniques, they’ve attempted to integrate best practices for solving the essentials of life. The 8.4-hectare site (about 21 acres) sits on a sub-alpine terrace with expansive views of Lake Wakatipu. A healthy gut is required for a healthy body and mind. From hydration to probiotics, to alkalinity, we build health from the digestive system outward. At Aro Hā, expect to eat a rainbow of vegetarian cuisine. Paleo friendly, gluten free, dairy free, and enzymatically active, the diet is rich in trace minerals, vitamins, and phytonutrients. Aro Hā is an all-inclusive retreat, and meals are provided for. Please let the retreat know of any special requirements or allergies during booking. Prices originally in New Zealand Dollar. 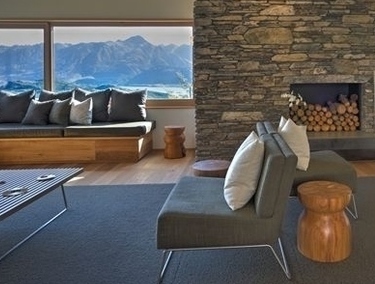 Located in New Zealand’s ethereal Southern Alps, Aro Hā is designed for the rejuvenation of the human spirit. 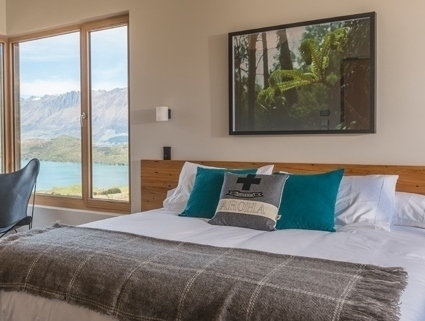 Aro Hā is just 40 minutes drive from Queenstown and the International Airport (ZQN), the adventure capital of the world.